Appliqué is ornamental needlework in which pieces of fabric in different shapes and patterns are sewn or stuck onto a larger piece to form a picture or pattern. It is commonly used as decoration, especially on garments. The technique is accomplished either by hand or machine. Chikan is a traditional embroidery style from Lucknow, India. Literally translated, the word means embroidery. 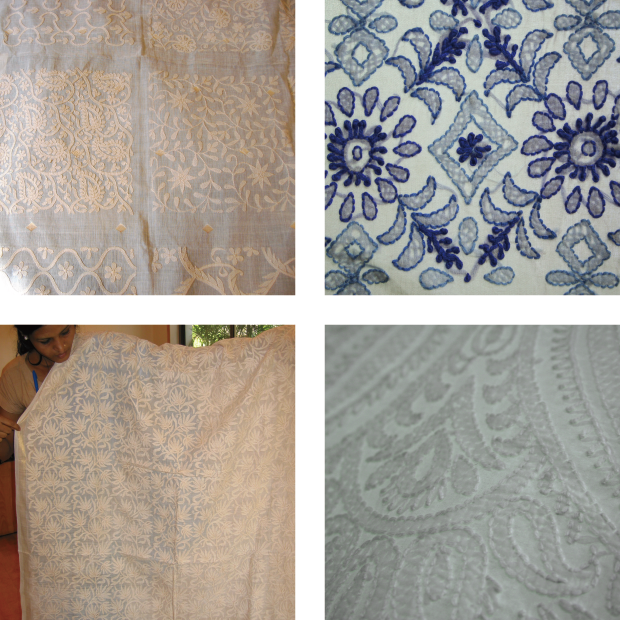 The technique of creation of a chikan work is known as chikankari. 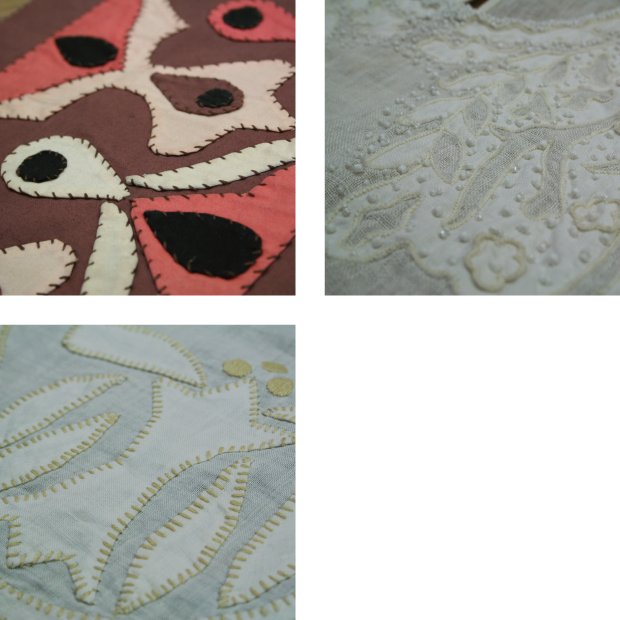 Chikan is a delicate and artfully done hand embroidery on a variety of textile fabric like muslin, silk, chiffon, organza, net, etc. 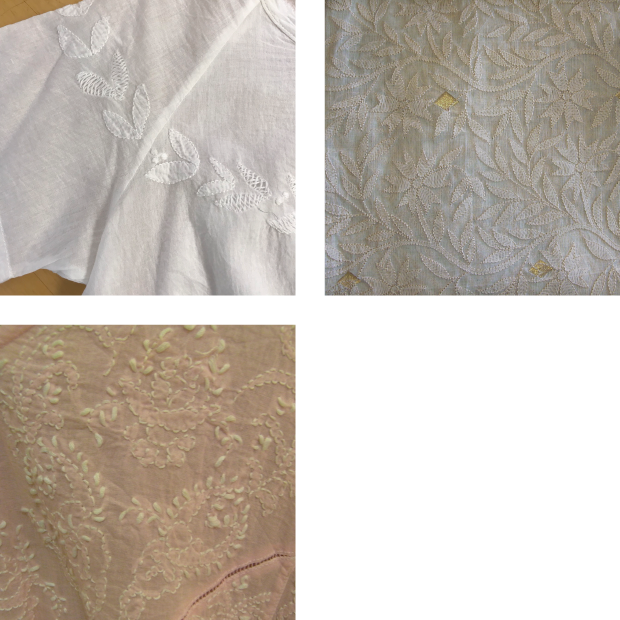 White thread is embroidered on cool, pastel shades of light muslin and cotton garments. Cross-stitch is a form of sewing and a popular form of counted-thread embroidery in which X-shaped stitches in a tiled, raster-like pattern are used to form a picture. 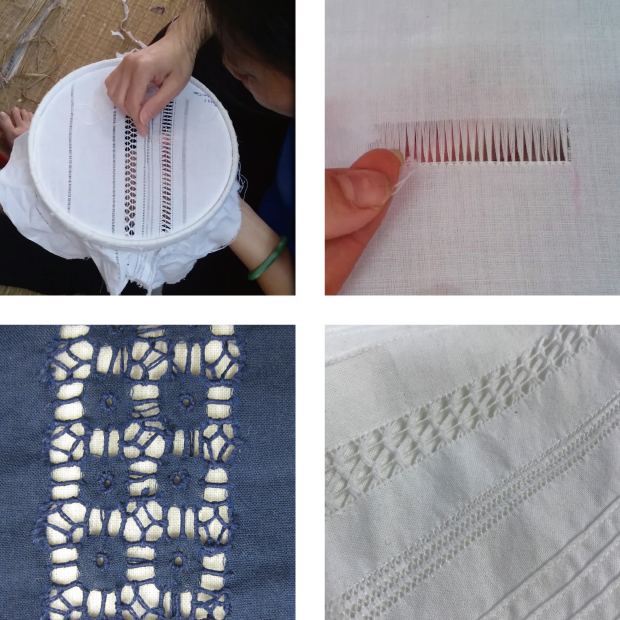 The stitcher counts the threads on a piece of evenweave fabric (such as linen) in each direction so that the stitches are of uniform size and appearance. Drawn thread work is a form of counted-thread embroidery based on removing threads from the warp and/or the weft of a piece of even-weave fabric. 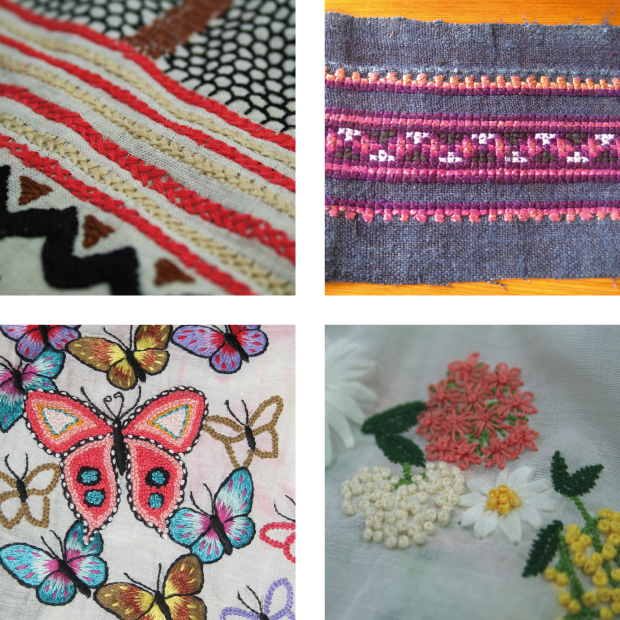 The remaining threads are grouped or bundled together into a variety of patterns. Kantha (also spelled Kanta, and Qanta) is a type of embroidery craft of South Asia, especially in the eastern regions of the Indian subcontinent, specifically in Bangladesh and in the Indian states of West Bengal and Odisha. Shadow Stitch is a type of embroidery worked on semi-sheer or sheer fabric, with the bulk of the embroidery on the back of the design so that the color of the thread – or rather, a shadow of the color – shows through on the front of the fabric between two solid-colored outlines. Smocking is an embroidery technique used to gather fabric so that it can stretch. 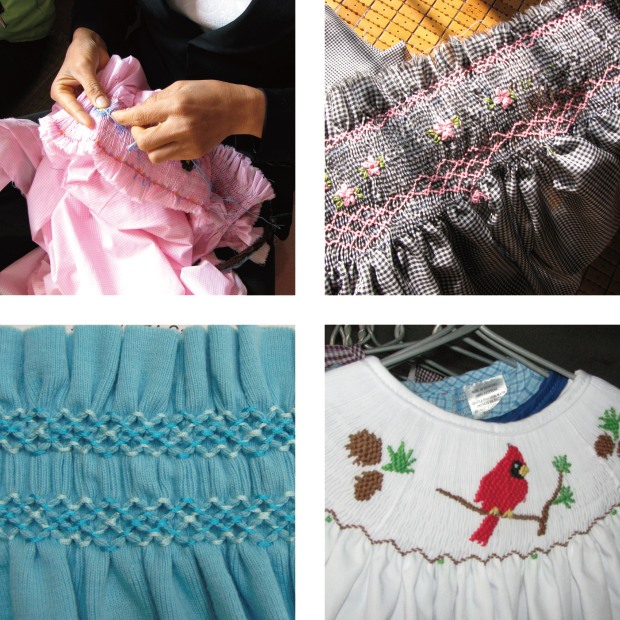 Before elastic, smocking was commonly used in cuffs, bodices, and necklines in garments where buttons were undesirable. Smocking developed in England and has been practised since the Middle Ages and is unusual among embroidery methods in that it was often worn by laborers. 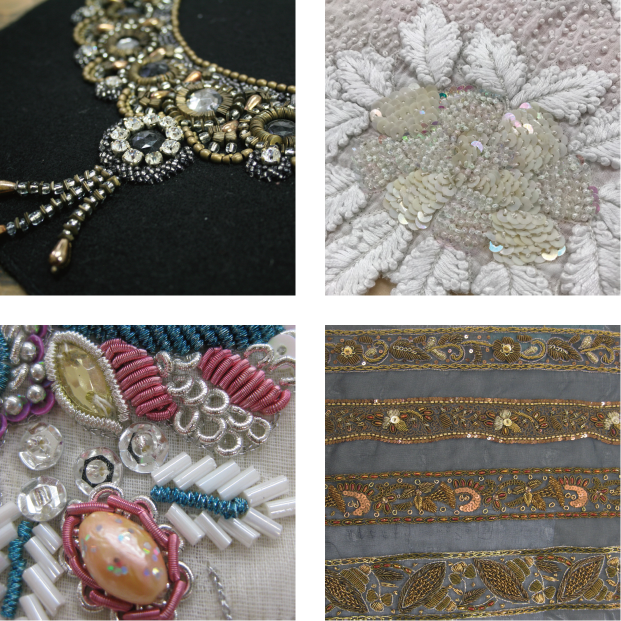 Handle embroidery is a type of machine embroideries created by a Handle Operated Chain Stitch Embroidery Machine. 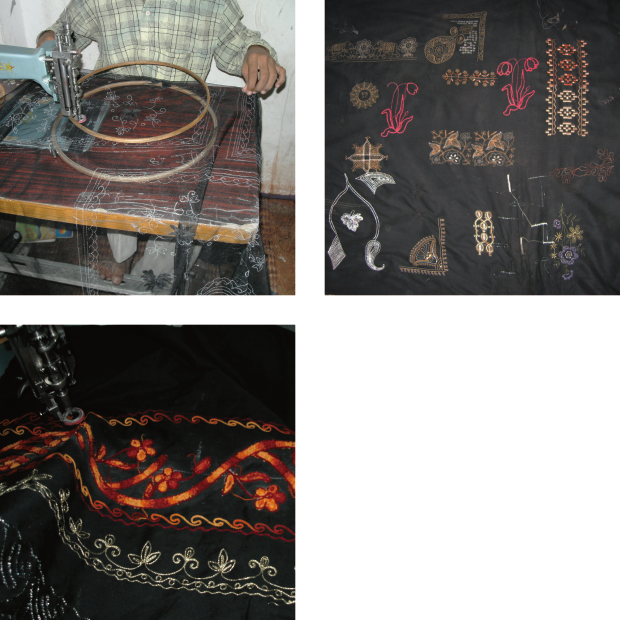 This is different from computerized embroidery machine in the way the material is conveyed (longitudinally and transversally). With the easy to operate handle, unique patterns can be formed at ease with no special skills.